The Hong Kong-based newspaper, South China Morning Post, reports that most of the demand is coming from participants in the 'Belt and Road Initiative' and countries like India. Congress leader Shashi Tharoor on Sunday slammed the government over a report published in a Hong Kong-based paper that said China is printing the currencies of several countries, including India. 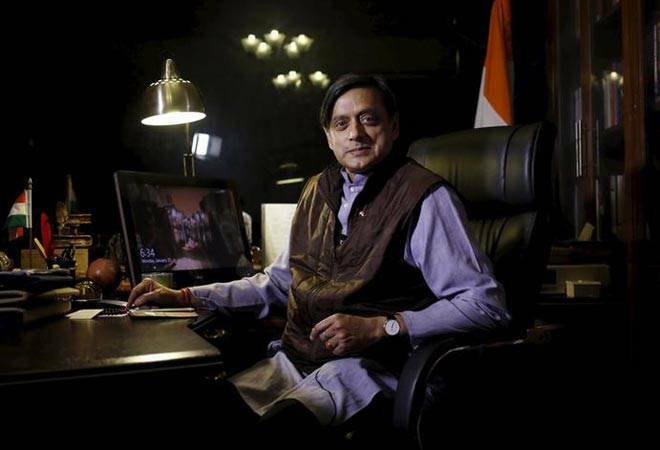 Calling the issue a major security threat, Tharoor indicated that this kind of arrangement could give Pakistan an opportunity to supply counterfeit currency notes in India. "If true, this has disturbing national security implications. Not to mention making it easier for Pak to counterfeit. @PiyushGoyal @arunjaitley please clarify!" Tharoor tweeted. The Hong Kong-based newspaper, South China Morning Post, reported that most of the demand is coming from participants in the 'Belt and Road Initiative' and that Chinese yuan bills only made a small proportion of the orders. China's Banknote Printing and Minting Corporation in Xicheng, which claims to be the world's largest money printer by scale, employs about 18,000 employees in its heavily-guarded paper note and coin making facilities. The report quoted the President of the China Banknote Printing and Minting Corporation, Liu Guisheng, saying that due to digitisation boom in the country, there was less demand for currency in China. However, after the launch of belt and road initiative in 2013, a sudden spike has been seen from countries outside China giving it contracts to print currency notes. The report claims that other countries are giving China contracts to print currency notes because it involves hi-tech technology as well as complex security features such as embedded thread, metallic ribbon and colour-shifting ink that require considerable licence fees, which many countries cannot afford. "Two years later, China started printing 100-rupee notes for Nepal, Liu wrote in a journal of China's central bank in May. Since then the company had seized the 'opportunities brought by the initiative' and 'successfully won contracts for currency production projects in a number of countries including Thailand, Bangladesh, Sri Lanka, Malaysia, India, Brazil and Poland'," reported the daily quoting Liu. However, it is interesting to know that despite the claims of the Hong Kong daily, India is not a part of China's Belt and Road Initiative (BRI), and has always expressed concerns on the BRI's lack of transparency and about the China Pakistan Economic Corridor (CPEC) that passes through Pakistan-occupied Kashmir. Fact check on jobs: Mudra scheme a boost for employment or just noise?